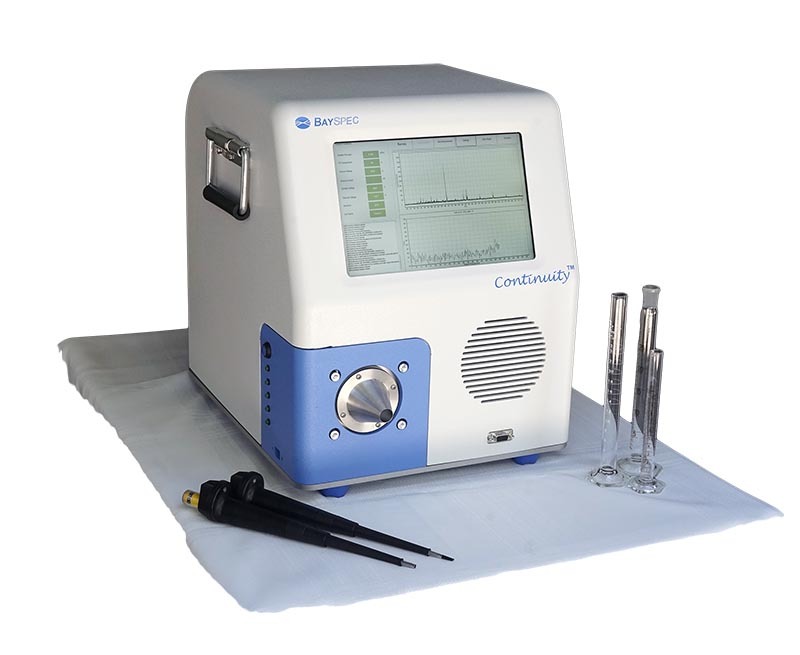 The Continuity™ transportable mass spectrometer brings high-sensitivity and large mass range to chemical analysis in the field. It offers improved sensitivity and mass range for more demanding applications. Custom ion focusing optics coupled with high efficiency transport optics allows Continuity™ to detect virtually all generated ions. The new miniature mass spectrometers from BaySpec are based on proprietary linear ion trap technology that offers unparalleled performance. Continuity™ mass spectrometer offers improved sensitivity and mass range for more demanding applications. Custom ion focusing optics coupled with high efficiency transport optics allows Continuity™ to detect virtually all generated ions. All BaySpec mass spectrometers are compatible with in situ and real-time ionization methods including electron impact (EI), thermal desorption (TD), electrospray ionization (ESI), atmospheric pressure chemical ionization (APCI), and any other ambient ionization techniques such as DART and DESI. These extremely compact instruments are very easy to operate and maintain and are ideal for a variety of bulk or trace on-site detection in real time. For details, please inquire with sales@bayspec.com. 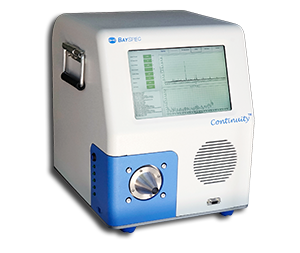 The ContinuityTM transportable mass spectrometer brings high-sensitivity and large mass range to chemical analysis in the field.